I think I am pretty lucky, considering I live only 10 miles from Disney World and my all time favorite, Epcot. I love that I can have food from around the world whenever I want. My favorite place to go, of course, is the Japanese eatery…I’m addicted to their curry and I have been trying to broaden my horizons when I noticed a lot of the Japanese tourists were leaving with a pancake looking deal. There had to be something good about it, if they were on board. So, of course, we tried it, and even months later, we are addicted. Okonomiyaki is basically a pancake…but instead of just flour with, maybe, a sprinkle of fruit or chocolate chips, your base is vegetables, with a little flour to hold it together, and whatever else you want to have it in. Okonomiyaki is a completely personalized love affair that I think anyone could easily fall into. Today, I decided I would go for the gold and try it for myself. …So here was my go at it!! If you want to try this, you can completely personalize it and add more veggies, whatever is in your fridge or pantry. I won’t tell on you. Warm skillet on Medium-high, add oil to coat the bottom of the pan. 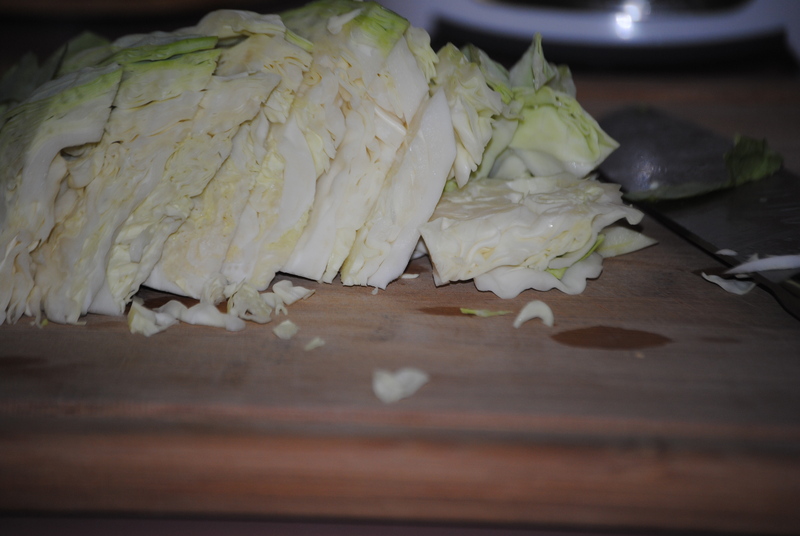 In large bowl, toss together cabbage, carrots and ginger with soy sauce. In small bowl mix together flour and eggs. Combine until cabbage mixture is coated and then spoon the mixture out into the skillet, them press the top down, to flatten, making the pancake shape. Let sit, depending on heat 3-5 minutes, until golden brown. Carefully flip over and cook until opposite side if golden brown. Toss it on the plate and then decorate with mayo. Repeat until out of mixture. Makes 2-4 pancakes depending on size. A lot of recipes say to add more soy sauce, or dashi, or okonomiyaki sauce. That’s the fun of this dish…It’s all about what YOU want. Okonomi apparently translates to “as you like it” or “what you want” so I think you can get the point! Have fun with it!! I was pretty happy with the outcome, considering I used oat flour instead of a white or whole wheat flour. I don’t think it made it taste off at all. I, also, don’t feel like I missed out by halving the amount of soy sauce…The mayonnaise gives it a salty taste on it’s own. 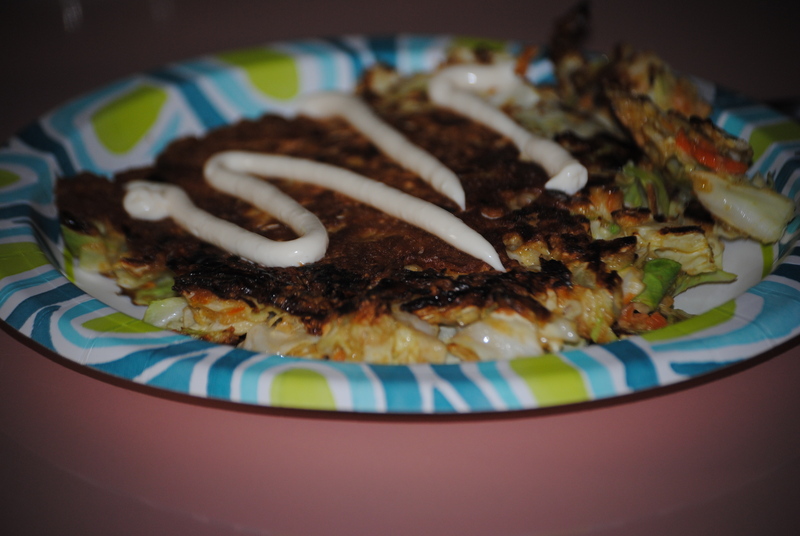 This entry was posted in Food and tagged cabbage, food, GF, gluten free, healthy, japanese, low sodium, oat flour, okonomiyaki, pancake, vegetable, vegetarian by themcdorkins. Bookmark the permalink.